Monetra, Finnish municipally owned limited company with 450 employees, was facing a reorganization as two organizations had merged into one. Both had their own intranets, and the existing intranets could not be adapted to accommodate the requirements of the new, merged entity. A new intranet was required to further improve the workday of 450 employees. Monetra offers solutions for municipal support services, such as a provision of financial and staff administration services. It has 450 employees in five cities around Finland, employees based also at their customers. One of the goals with new intranet was to improve the sense of belonging to those not working in the headquarters. As part of an upcoming reorganization, Monetra was looking for a simple, cloud-based intranet in-a-box solution. In addition, they wanted to offer their customers a new service channel, an extranet. A tailor-made solution was not in question and Monetra chose Valo Intranet on top of cloud-based SharePoint for its new intranet and extranet aimed at their customers. The new, more interactive intranet solution offers a two-way channel for internal communication and has reduced the volume of internal emails as well as improved sense of belonging of the company especially for employees that are based outside headquarters and at their customers’ offices. The extranet aimed at customers is a more effective way of disseminating information and updates. With the help of the extranet, communication with customers has become more uniform. The company initially looked at a number of different alternatives, including ones outside the Microsoft environment.  However, during the specification of the new intranet, Monetra finally opted for the cloud-based SharePoint environment. At the same time, the company started using Office 365, which meant all its tools were transferred to the cloud. Monetra wanted a simple, intranet in-a-box solution. The final choice was made using a scoring system. Our requirements weren’t exceptional. We wanted a simple, in-a-box solution.  The final choice was between a handful of SharePoint-based intranet solutions. Valo was chosen as it was a good match for Monetra’s requirements. Valo is so extensively developed as a product that it is perfect for our needs. One of the objectives of the new Valo Intranet was to encourage more interaction in internal communication. “We set out to find a solution that would primarily underpin our work but would also offer a robust channel for internal communication. One clear aim was to reduce the use of email for internal communication. “I hope that the new intranet will help promote a sense of community. We have several offices and half our staff is based at our customers’ workplaces. We want everyone to feel that they are part of Monetra, even if they aren’t based at our headquarters,” stated Tiiu. Monetra also wanted to offer its customers a new channel for communication and distribution of important documents. Valo was chosen to create not only an intranet for Monetra but also an extranet solution aimed at customers. With the help of the extranet, communication with customers has become more uniform. For instance, the service includes a homepage shared by all customers, through which customers can follow Monetra’s news and updates. “The extranet is primarily a collaboration tool between us and our customers. This is where common documents and materials relating to joint projects can be found and now it’s easy to distribute up-to-date information and provide the customer updated instructions,” states Tiiu. The intranet and extranet projects were completed on time without any problems. The project tool that was used was Valo’s Workspace solution, which was used for Monetra’s own environment. “The projects were delivered without problems and cooperation was smooth. The most important factor in making the project a success was working with the right people. There were clear contact people for the project and plenty of expertise to call on. And the practical support after completion of the projects has also been excellent,” said Tiiu. Are you looking for a new intranet or extranet with easy and fast deployment? Let us show how Valo Intranet along with its multiple features can help to create a better digital working day experience to you and your work community by booking a demo with us.